Well, Now I May Need More Girl Scout Cookies…. A friend of mine posted a link to an article on pairing Girl Scout Cookies with wine on Facebook. There’s a reason these people are my friends. I may need to buy a box of each now, just to taste test the results…I’ll probably also need volunteers to help. That’s a lot of cookies…and wine. As much as I enjoy being a procurer of Thin Mints (can you tell my favorite? ), Samoas, Tagalongs, Savannah Smiles (those suckers are addictive), Trefoils, and Do-Si-Dos, I cannot supply everyone. 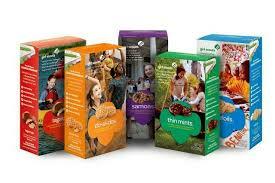 If you need to find a purveyor of these sweets, checkout the Girl Scout Cookies Site. You can input your zip code, and receive a list of booth locations near you. This entry was posted on Thursday, February 20th, 2014 at 1:51 pm	and posted in Uncategorized. You can follow any responses to this entry through the RSS 2.0 feed.